A burglary in a sleepy California cul-de-sac goes horribly wrong in my story, "Please See Me." The idea came from an old term paper my mom wrote in college about a burglary that was a little too close to home. Fault Lines was edited by Margaret Lucke and the other contributors include Ana Brazil, Jenny Carless, Diana Chambers, David Hagarty, Vinnie Hansen, Katherine Bolger Hyde, Judith Janeway, Mariah Klein, Mariella Krause, Susan Kuchinskas, Bette Golden Lamb, J.J. Lamb, Margaret Lucke, Susan C. Shea, Robin C Stuart, Nancy Tingley, CJ Verburg, and C.M. West. The forward was written by Terry Shames and Diana Chambers. You can find the perfect matching drink over on Mystery Playground. You can order a copy of Fault Lines here. 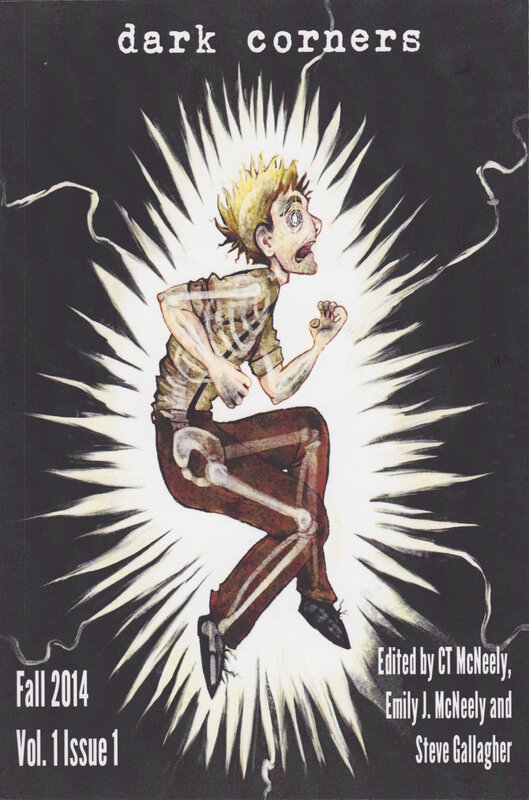 Crime solving and irreverent librarian, Bronte Williams, makes her debut in the first story in Shhh….Murder!, an anthology edited by Andrew MacRae and published by Darkhouse Books. The story is called “Wuthering Stacks” and I had great fun co-writing it with my friend and librarian, Pat Hernas. Our main character, Bronte, is named after Emily Bronte and all of the works of the Bronte sisters factor into the story in one way or another. With the help of good friend Janet Kuchler, we’ve matched the story with the perfect drink for Bronte and her hectic life. You can find the recipe and more about the book here and order your own copy here. I got the idea for my short story, "Taking Care," when more than one divorced acquaintances of mine in their 40s and 50s began contacting their college and high-school sweethearts to see if they could rekindle romance. Several of them had actually started relationships and were commuting across country to keep it going. I was so intrigued with the concept, I wanted to explore it in this story. You can read more about the thought process here in a blog post I wrote for Art Taylor's excellent, "First Two Pages," blog. And if you'd rather just have a great sangria recipe to sip while you read the story, you can find that here. In my story, "Blowhards on the Bayou", a Mardi Gras float becomes a locked room murder mystery set in New Orleans. The book is edited by the Greg Herren and includes stories from Rambo-creator, David Morrell; best-selling authors Terrie Farley Moran, Alison Gaylin, Elaine Viets, John Floyd, and Edith Maxwell. The forward is by Heather Graham. The drink Kerry Hammond created to match the story here and you can buy the book here. Special thanks to my great NOLA friends Max, Roz and Shawn Gruenig who introduced me to all things Mardi Gras. Max even took me on a Mardi Gras float and took videos from the float while it rolled in the parade. The Gruenig family own the excellent poboy eatery, Koz's. Stop on by next time you are in New Orleans. You might find me in the kitchen making jambalaya. It's Christmas in July for my story, "A Christmas Miracle" when a laid off tech worker resorts to burglary to get his sick son Christmas presents. Of course this theft isn't going to be as easy as he hopes, especially when he finds a dead body. I got the idea from two sources - a magazine article that talked about how burglars select houses to rob and my family's habit of making up stories about people we don't know by their choice of outdoor Christmas decor. I had so much fun writing this story that I even came up with a drink to match . 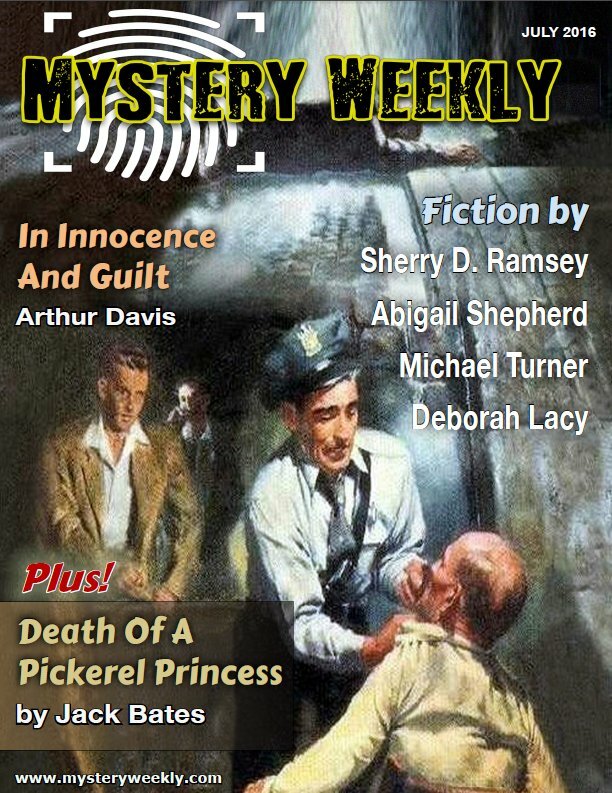 Mystery Weekly is a great short story magazine that offers email subscribers a free short story every week. Subscription details can be found at Mystery Weekly. You can also get single issues via Kindle or in print. You can also listen to the audio version free on Sound Cloud. 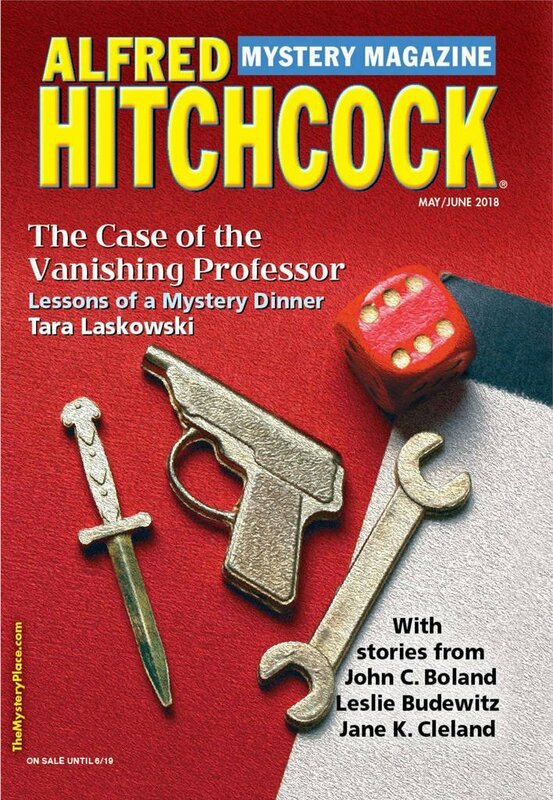 In the inaugural issue of this pulp magazine, a group of mystery writers go on a national TV show only to have one of the group murdered in "The Husband Killers Club." I got the idea for this story while walking in Time Square outside of the NBC studio where the Today Show is filmed.